Posted by jkahane in character creation, health hut, rpg hut, torg eternity rpg. As noted yesterday, the Wednesday night gaming group decided to meet up last night and game. They wanted to create their characters for the Torg Eternity RPG campaign I’ll be running with them. All told, the players had a fun time of it last night, and came up with some interesting characters. Once the Wednesday night gamers showed up at my place for the evening, around 6:55 pm, I showed them the Day 1 map of the world, and talked with them about the game world and answered their questions to the best of my ability for about an three-quarters of an hour. This covered everything from basic game mechanics, the use of the dice and the three decks of cards (Drama, Destiny and Cosm), and a bit about the cultures of the realms that have been mapped onto Core Earth. It was somewhat tiring for me, given my so-so cough, but some peppermint tea and a couple of Fisherman’s Friend lozenges helped out a lot. From that starting point, we moved on to character generation. The characters that the Wednesday night players created for the Torg Eternity RPG turned out quite interesting and had some interesting backgrounds. The players unanimously decided that they wanted the campaign to be set in either the Living Land or Aysle, and decided to go with the latter, at least for the time being, and created appropriate characters. Here’s what the Wednesday night players created. Donna – Donna decided she wanted to go with a transformed character, and created Cindy (“Cindara”) Hazelton, an apprentice mechanic who turned into a sorceress of sorts. She’s also got a few secrets. DavidW – David wasn’t really sure what he wanted to play, but came to the conclusion that he wanted a Core Earth character. He created James Wellington, a teacher of 12- and 13-year-olds whose looking for some adventure in his life. He’s about to find it, in ways he could never have expected. Kendall – She decided to play a transformed character. Pamela (Palle) Sundstrom is an English police officer who has a loving husband and two daughters. She’s a devoted bobby and mother, but finds it difficult to balance the two out at times. Crystal – Crystal really had no idea of what she wanted to play, but after looking at a few of the archetypes, settled on Damaris Haynes, a Soho-dwelling artist (painter) who’s starting to make a name for herself. She also has a degree in history, but doesn’t advertise the fact. All in all, an interesting group of characters with a lot of potential, and the players had a good deal of fun with the process and really did a good job of coming up with ideas on how their characters would meet, though not necessarily know each other. Donna and Crystal are both eager to play their characters, and I think there’s some interesting times ahead for this group of characters in what is now Aysle. DavidW almost wanted to play a Viking (!! ), but Donna said, “Umm…no.” 🙂 The players found character creation quite easy, and had fun with it. They’re now looking forward to starting their Torg Eternity campaign the third Wednesday of June. Posted by jkahane in character creation, rpg hut, torg eternity rpg. The Wednesday night gaming group is usually gaming every third Wednesday of the month. However, the players (through Donna) got in touch with me last night, and told me that they wanted to game this evening. The reason being that when the group meets the middle Wednesday of June, they want to get into the game they’re going to be playing, rather than create their characters for the game system. So tonight, the Wednesday night gamers are coming over and they’re going to create their player characters for the Torg Eternity RPG campaign. In the meantime, I need to get some supper made. Posted by jkahane in birthday, tv hut. Today is actor Ben Mansfield‘s birthday. Mansfield is the hunky actor who played Captain (don’t call me Hilary!) Becker for three Series of the Primeval tv series. Here’s wishing Ben Mansfield, who turns 35 years young today, a very Happy Birthday, and a terrific year ahead! Posted by jkahane in holiday, united states. Tags: holiday, memorial day, u.s.a.
Today is Memorial Day down in the U.S. of A.
I want to wish all my friends a pleasant and safe Memorial Day. Posted by jkahane in character creation, health hut, personal, rpg hut, torg eternity rpg. Today’s gaming session with the Sunday group is off, sort of. The Friday night gamers have started to play the Torg Eternity RPG, published by Ulisses Spiele US, based on the original game published by West End Games in 1990 or so. 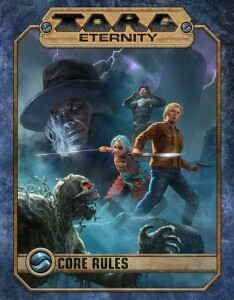 Torg Eternity is a science fantasy modern-day rpg in which invaders from other realities attack Core Earth to impose their realities on the world and steal the Possibility energy of all its inhabitants. Once the Friday night gamers showed up at my place for the evening, I showed them the Day 1 map of the world, and talked with them about the game world and answered their questions to the best of my ability for about an hour. This covered everything from basic game mechanics, the use of the dice and the three decks of cards (Drama, Destiny and Cosm), and a bit about the cultures of the realms that have been mapped onto Core Earth. Somewhat exhausting for me, given my so-so cough, but nothing that two cups of hot peppermint tea couldn’t have with. From that starting point, we moved on to character generation. The characters that the Friday night players created for the Torg Eternity RPG turned out quite interesting and had some interesting backgrounds. The players unanimously decided that they wanted the campaign to be set in the Living Land, at least for the time being, and created appropriate characters. Here’s what the Friday night players created. KathyB – She decided that she didn’t want to go with one of the game archetypes, and opted to play Melanie Franconi, a cat burglar and thief who got caught by a cop doing her dirty work just when the Maelstrom bridge crashed down in New York. She’s dexterous and spunky. Angela – She looked over the archetypes and decided that she wanted to play a courier in New York caught during the Maelstrom bridge drop on one of her drops. Angela created Wendy Saltman, a Jewish girl with some religious belief who knows what she’s looking for in life. Well, did…before the start of the Possibility Wars! Ellie – She looked over the various character archetypes, and decided that there wasn’t one that she really liked. She settled on Sandra Mitchell, a librarian from the Bronx who also dabbled with magic with some friends of hers. Now, there seems to be a way of being what she always wanted! Mark – Looking over the archetypes, Mark was enamoured with the Realm Runner, and that’s what he created. Lucas Wells is a businessman with a survivalist hobby who was travelling back into central NYC when the Maelstrom bridge dropped. Peter Johnson – The newest player to the group, brought in by Mark, who’s still not sure about this “gaming thing”. He liked the basic premise of the game, and is playing Andrew Quilling, a baseball player who has been transformed to a Living Land native. He’s not very bright any more, but likes swinging his baseball bat at enemies. All in all, an interesting group of characters with a lot of potential, and the players had a good deal of fun with the process and really did a good job of coming up with ideas on how their characters would meet, though not necessarily know each other. Peter got into the game more and more as the evening went on, especially after I had the players make some sample rolls to see how the mechanics worked, and then let them look through the Destiny cards! 🙂 The players didn’t struggle with character generation, finding things relatively simple, and Ellie (who’d never experienced the original Torg: The Possibility Wars) was quite fond of the Bonus Chart mechanic. Overall, the players quite liked the character generation system for the Torg Eternity RPG, and are now looking forward to starting their game on next Friday night (my health willing). The Friday gaming group has decided that we are going to play this evening! And I was surprised, to be honest. Given that I’ve got con crud (though felt better this afternoon), I wasn’t sure the players would want to play and take the chance they might catch it, but they’ve decided we’ve had enough breaks, sick days, holidays and the like and they just want to game. That said, I’m feeling up to gaming tonight, so will see how much I lose my voice and all that. Hot tea tonight, methinks. The players informed me through their spokesperson, Kathy, that they want to create their characters for the Torg Eternity RPG, so am quite looking forward to seeing what they come up with as a group. This will be the first time in quite some time that the Friday night gamers meet and game. Really looking forward to the game tonight. Supper awaits. Posted by jkahane in cangames, conventions, gaming hut, personal, rpg hut. After the conclusion of the CanGames convention, I usually write a “Final Thoughts” post about the convention. I wasn’t going to do so this year, for a variety of reasons, but in the end the words seemed to come to me. This year, I went to the convention despite how I was feeling to run the four games that I was committed to running. Once I commit to running games at a convention such as CanGames, I do my best to honour said commitment. People have paid upfront in some cases to play in the games that I’m supposed to run, but what it comes down to for me is the commitment business. I will say that I had a lovely time of it running the four games that I did at CanGames. Friday night’s “Day 1: The Living Land” for the Torg Eternity game went very well. The players had an excellent time of it, and loved the game system and mechanics, especially the Drama, Destiny, and Cosm cards. (That was pretty much a theme at both Torg Eternity games this year.) I was really pleased with it. Saturday afternoon’s John Carter of Mars – The Roleplaying Game session, “The Diplomats of Mars”, went exceedingly well, and I had a good mix of players both knowledgeable and not-so-much for the game that lent it a wonderful feel. Folks discovering Barsoom is so neat! The players really liked the game system and mechanics, for the most part, and loved the feel of the game. Saturday night’s Capharnaum – The Tales of the Dragon-Marked scenario, “The Tears of Ampharool”, was a lot of fun to run, if not one of the more challenging games I’ve run in some time (but I also chalk that up to being somewhat tired by the time 7:00 pm rolled around). The players felt the game had some great fantasy elements, and captured the feel of the Arabian Nights stories so well. It was a lovely time, indeed. Finally, Sunday afternoon’s Torg Eternity scenario, “The Burden of Glory”, was the one that put the most pressure on me to get it right, given the importance of that adventure to the Infiniverse, but it was a lot of fun to run and had some challenges as well. The players all had an excellent time; I guess the fact that several players planned to pick the game up is an indication of how good the game was! 🙂 I don’t know what I’ll be running at CanGames 2019 yet, though I do have some initial thoughts on that. We’ll see what we shall see. After all, it’s still another year or thereabouts until the next incarnation of CanGames. I did notice that the attendance seemed to be down, and I also noticed that the folks who normally do the Pathfinder Society stuff were not at the convention, so that may have something to do with it. I was very surprised at how many people pre-registered for the four games that I ran, but perhaps that had to do with the fact the Pathfinder folks weren’t there so people were looking for games to play in. I had a pretty good weekend at CanGames 2018 this year, mainly because of the joy I got running the four game sessions that I did. I did see a few friends and acquaintances at CanGames, and hope I made a few new friends (and people who will continue to game in the stuff that I run at the convention). I didn’t talk to as many people as I would have liked, and didn’t have any long chats with folks, other than during the four games that I ran. Posted by jkahane in gaming hut, health hut, personal, rpg hut. There is a chance this evening that I will be gaming with the Friday night group of players. This will depend on whether they want to take a chance of contracting (or not contracting) the con crud that I’ve been hit with. I feel a bit better today, but am somewhat weak. Will know a bit later today. Just want to wish everyone a Happy Towel Day!